Earth’s latest ice age may have been caused by changes deep inside the planet. Based on evidence from the Pacific Ocean, including the position of the Hawaiian Islands, Rice University geophysicists have determined Earth shifted relative to its spin axis within the past 12 million years, which caused Greenland to move far enough toward the north pole to kick off the ice age that began about 3.2 million years ago. By volume, Earth is mostly mantle, a thick layer of solid rock that flows under intense pressure and heat. The mantle is covered by an interlocking puzzle of rocky tectonic plates that ride atop it, bumping and slipping against one another at seismically active boundaries. Hot spots, like the one beneath Hawaii, are plumes of hot solid rock that rise from deep within the mantle. Gordon, the W.M. Keck Professor of Earth, Environmental and Planetary Science, said the new findings build on two 2017 studies: one from his lab that showed how to use hot spots as a global frame of reference for tracking the movement of tectonic plates and another from Harvard University that first tied true polar wander to the onset of the ice age. Like any spinning object, Earth is subject to centrifugal force, which tugs on the planet’s fluid interior. At the equator, where this force is strongest, Earth is more than 26 miles larger in diameter than at the poles. Gordon said true polar wander may occur when dense, highly viscous bumps of mantle build up at latitudes away from the equator. If the mantle anomalies are massive enough, they can unbalance the planet, and the equator will gradually shift to bring the excess mass closer to the equator. The planet still spins once every 24 hours and true polar wander does not affect the tilt of Earth’s spin axis relative to the sun. 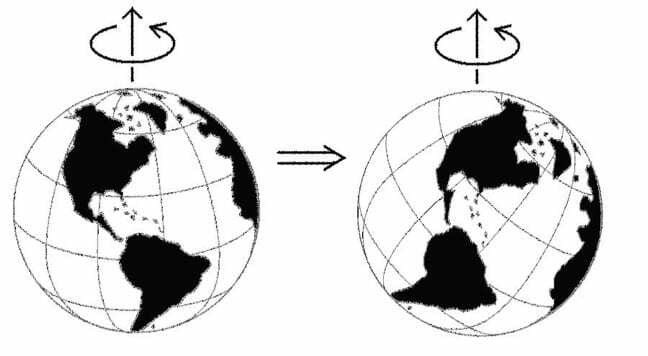 The redistribution of mass to a new equator does change Earth’s poles, the points on the planet’s surface where the spin axis emerges. 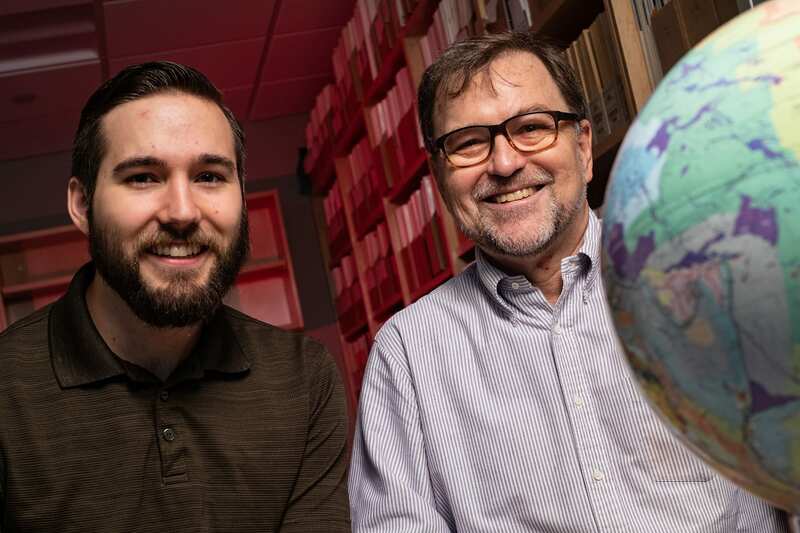 Woodworth said the hot spot data from Hawaii provides some of the best evidence that true polar wander was what caused Earth’s poles to start moving 12 million years ago. 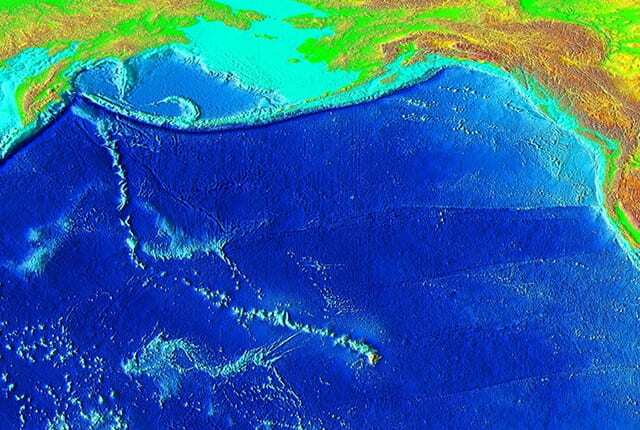 Islands chains like the Hawaiians are formed when a tectonic plate moves across a hot spot. “True polar wander shouldn’t change hot spot tracks because the hot spot track is the record of the motion of the plate relative to the hot spot,” Woodworth said. Earth is still in an ice age that began about 3.2 million years ago. Earth’s poles have been covered with ice throughout the age, and thick ice sheets periodically grow and recede from poles in cycles that have occurred more than 100 times. During these glacial cycles, ice has extended as far south as New York and Yellowstone National Park. Earth today is in an interglacial period in which ice has receded toward the poles. Gordon said true polar wander is not merely a change in the location of Earth’s magnetic poles. As the planet spins, it’s iron core produces a magnetic field with “north” and “south” poles near the spin axis. The polarity of this field flips several times every million years, and these changes in polarity are recorded in the magnetic signatures of rocks the world over. The paleomagnetic record, which is often used to study the movement of tectonic plates across Earth’s surface, contains many instances of “apparent polar wander,” which tracks the motion of the spin axis and which includes the effects of both plate motion and true polar wander, Gordon said. He said Earth’s mantle is ever-changing as new material constantly cycles in and out from tectonic plates. 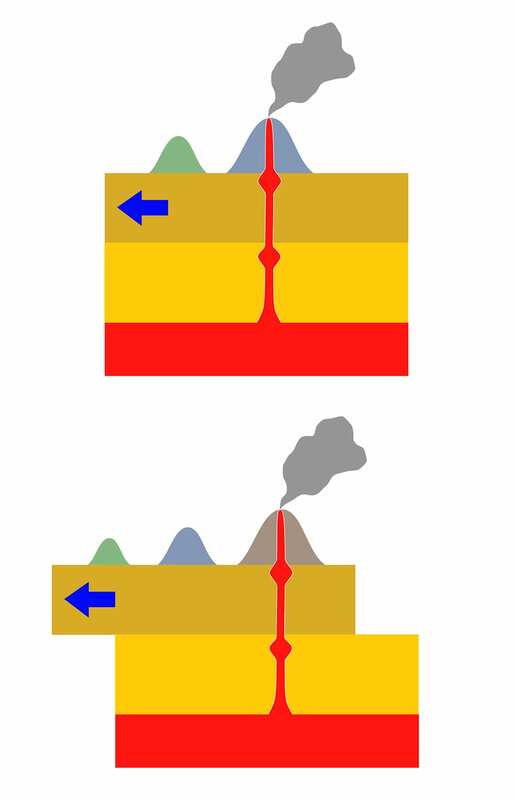 The drawing down and recycling of plates via subduction provides a possible explanation for the highly viscous mantle anomalies that probably cause true polar wander. 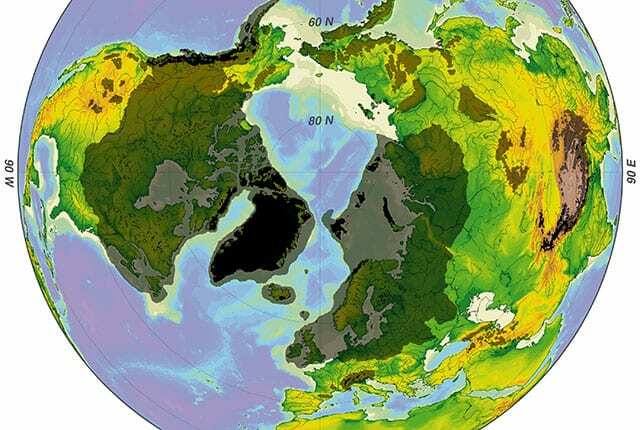 He and Woodworth are working with colleagues to extend their analysis, both from 12 million years ago to the present as well as further into the past than the 48-million-year start date in the newly published study.